Welcome to Matt and Nicole’s Registry! These two are getting married and are so excited about remembering their wedding day through pictures. Their photographer, Alyssa Lund Photography, offers this gift registry so that wedding guests can gift couples with wedding photography art - from a heirloom wedding album telling their wedding day story, to a collection of favorite portraits to hang on the wall. Nicole and Matt would love to hang a barnwood frame in their bedroom so they can see a photograph from their wedding every morning when they wake up. 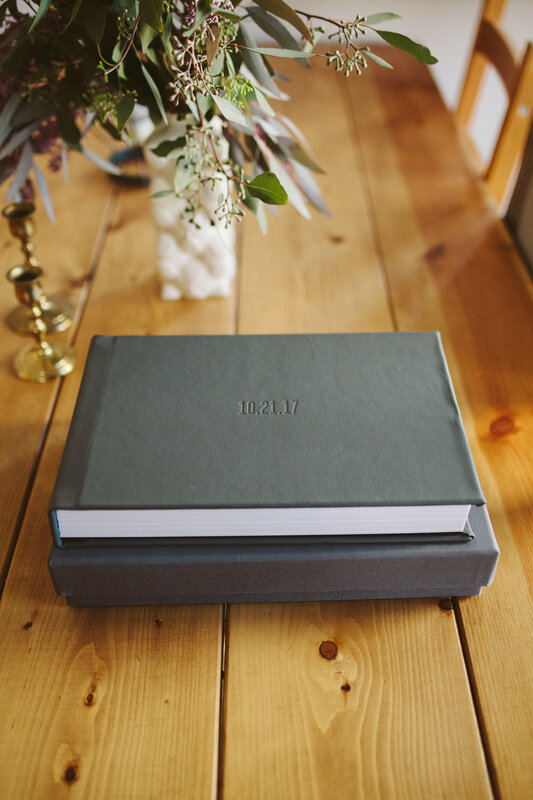 These printed wedding albums are an incredible way to look back on the story of your wedding day. The couple will choose from beautiful linen and leather cover options, and can include up to 50 thick pages in their final album. Made in the midwest, these albums are rated to last for hundreds of years. Nicole and Matt are hoping to create a custom gallery wall for their living room, featuring a trio of favorite pictures of them and their wedding party. They love the idea of unique, happy art that always reminds them of their wedding day surrounded by their community.